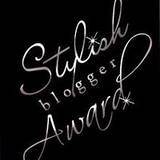 Also today I got my first Blog Award. Yay for it! I received it from the beautiful Ambrosia Clark . Thank you, darling! 2. I don’t eat meat. At all. Evah! 6. I have about 50 bikinis. 7. I am a huge overachiever and perfectionist, but not OCD or anything like that. Things just come easy for me. I am going to stop at 7 awards for three reasons: 1. I really don’t read THAT many blogs, 2. Half the blogs I read got the award this week and the other half a while ago, 3. And I mean 15???? Really? Is it a bit crazy and makes it less special? So here we go! 7 beautiful, fun-to-read ladies! I agree…15 was a bit extreme! And hard to choose! I am so super duper utterly excited 🙂 I can’t wait to blog about this! Thanks my beautiful friend! I’m so flattered! Thank you for the award!